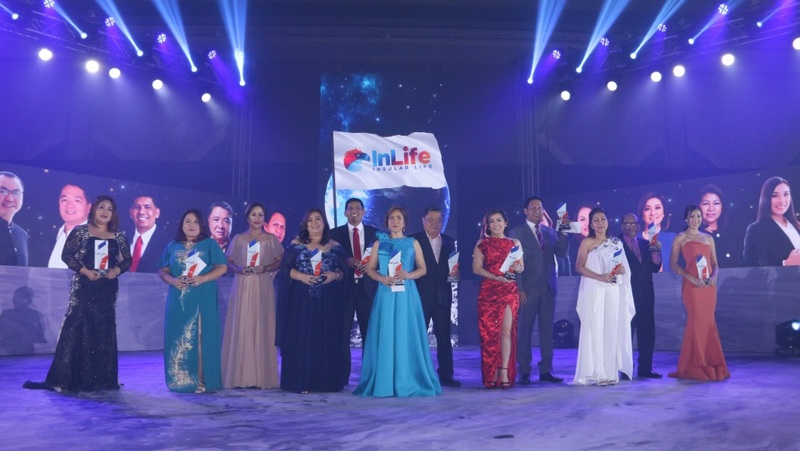 Hundreds of Insular Life (InLife) agents and agency leaders nationwide gathered at The Fort recently for their annual awards night held at the Shangri-la, Taguig City. The top agents were feted by InLife in a space-themed celebration called “Astra per Aspera” (to the stars through hardship) in recognition of the group’s achievements in the past year. During the event, over a hundred Million Dollar Round Table (MDRT) qualifiers were honored as well as other top agents and agencies were recognized in various categories. In her opening remarks, InLife President Mona Lisa B. de la Cruz likened the top agents’ achievements to that of a star, noting that stars undergo extreme pressure before they are formed. “You are here tonight because you battled many obstacles along the way, and emerged victoriously after. You are stars in your own right, formed as a result of the hardships you had to conquer,” she said. She also challenged the company’s top financial advisors and agency leaders to continue to shine through their service to their clients and InLife policyholders. Mr. Raoul Littaua, Executive Vice President and head of InLife’s agency distribution group, also announced that InLife MDRT qualifiers will have their membership fees in the US-based MDRT organization, subsidized by the company. MDRT is a global group for top professionals in financial advising. Executive Chairwoman Nina Aguas, likewise expressed her gratitude to the awardees for their achievements. In her keynote address, Ms. Aguas announced some company initiatives that will enable them to focus on women customers through the program called InLife Sheroes. This women-focus initiative was earlier launched by InLife in an effort to help one million Filipinas in three years obtain products and services that’s specifically catered for them. “For the first time in the history of our country, there will be insurance products created specifically for women wherever they may be in their life stage,” Aguas said.